I was only four years old when my Lolo (meaning grandfather in Tagalog) passed away, but I grew up on stories about his brave service in the Philippines during World War II and still draw inspiration from his sacrifice. The stories describe his acts of heroism: fighting valiantly, even being jailed and eventually rescued, and returning to protect his fellow countrymen. He and more than 260,000 Filipino soldiers fought under the American flag during World War II, and many made the ultimate sacrifice as soldiers in the U.S. Armed Forces in the Far East and as guerilla fighters. Since taking office, President Obama has recognized the extraordinary contributions made by our veterans, including these heroic Filipino veterans. In his first year in office, the President signed the American Recovery and Reinvestment Act of 2009 into law, which included a provision creating the Filipino Veterans Equity Compensation Fund. To date, over 18,000 claims have been approved through this fund where eligible Filipino veterans who are U.S. citizens received a one-time payment of $15,000, and non-U.S. citizens received $9,000. In 2012, the White House Initiative on Asian Americans and Pacific Islanders, in collaboration with the White House Domestic Policy Council, Office of Management and Budget, and federal agencies, launched the Filipino Veterans Equity Compensation Fund Interagency Working Group (IWG). The IWG was formed in response to feedback received from community members that many Filipino veterans believed their claims were improperly denied or that they did not receive a satisfactory explanation for their denial. 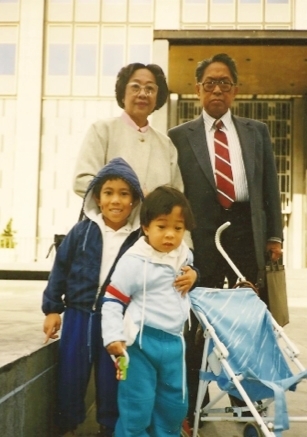 Jason (bottom right) with his brother, grandmother and grandfather on the day of his grandfather’s U.S. citizenship naturalization ceremony in San Francisco, 1990. Having served on the IWG from 2012-2013, I saw first-hand the impact and progress we were able to make in increasing transparency, ensuring timely processing of claims, and conducting a thorough accounting of the process to verify valid military service for Filipino World War II veterans. My Lolo came to the U.S in 1985 after being sponsored in 1979 by my aunt, who was the first in my family to become a U.S. citizen. Estimates indicate that as many as 26,000 Filipino veterans became proud U.S. citizens, able to petition for their family members to come to the United States. Many individuals, however, have to wait years to be reunited with their family members. Filipino-American families in particular face some of the longest wait times for reunification, which can exceed 20 years. In November 2014, President Obama directed key federal agencies to explore ways to modernize and streamline our legal immigration system. Recently, the White House released a comprehensive report and accompanying fact sheet which include a wide range of recommendations that federal agencies will undertake to improve the visa experience for families, workers, employers, and people seeking humanitarian relief, including Filipino veterans. As explained in the report, the Department of Homeland Security will create a program to allow certain family members of Filipino American veterans to request parole to come to the United States to provide support and care to their Filipino veteran family members who are U.S. citizens or lawful permanent residents. Parole is an avenue provided under the Immigration and Nationality Act that allows individuals to come to the country on a case-by-case basis based upon urgent humanitarian reasons or significant public benefit. U.S. Citizenship and Immigration Services and the Department of State will work together to provide clear guidance to the public on the application process, and decisions will be made on a case-by-case basis. This is a critical step in strengthening our legal immigration system and also helping Filipino-American veterans reunite with their families. I have been honored to witness the level of commitment the President and his Administration have displayed towards caring for our veterans, in recognition of their service and love for this country. My Lolo, like many others, fought valiantly for the freedoms enjoyed by generations to come, including his own future grandchildren. Today, I know he would be proud. 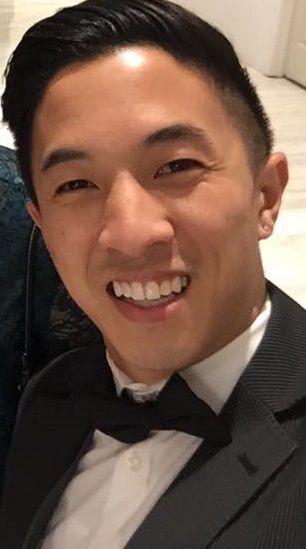 Jason Tengco is the Deputy Director of the White House Initiative on Asian Americans and Pacific Islanders.